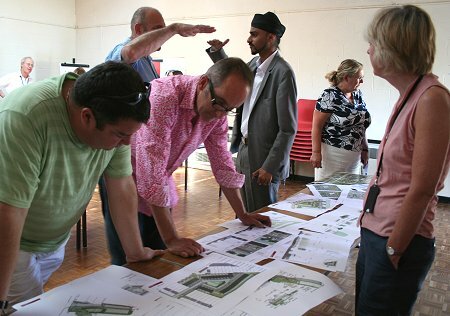 Kevin McCloud was back in Swindon today to discuss the further developments of his Hab Oakus project near Northern Road. One of two projects the Grand Designs' presenter is involved in Swindon (the other at nearby Pickards Field, see link below), it involves the building of 40 houses on an area of land previously a caravan park. A consultation meeting in April highlighted a number of concerns from local residents, chiefly parking, privacy issues and flooding risks, and Mr McCloud was keen to hear their reaction to his revised proposals. "I think today has gone very well," commented Mr McCloud, "a lot of the questions concern the boundaries of the development and how that will effect peoples exsiting properties, and I totally understand that. "We have made changes to our plans to accommodate some of the concerns and the feedback has been very positive." 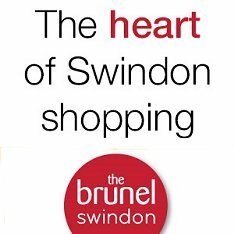 See our SwindonWebTV coverage above for Kevin McCLoud's comments and more detailed local resident feedback. For more information visit the Hab Housing website via the link below.